GPS, baby Crutchfield offers a shipping cost estimator that leverages GPS. 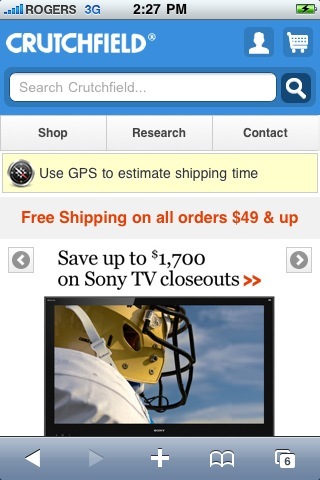 Using HTML5, Crutchfield has baked this app-like feature into its mobile web site. Snap it up Amazon Remembers allows you to take a photo of a product, which it will search against it’s image database and return matching product results. 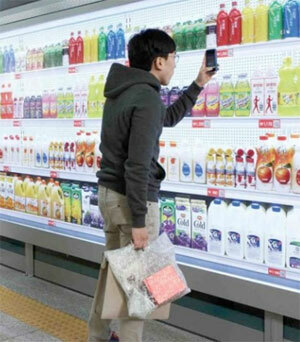 Bricks-and-clicks retailers leverage mobile cameras with barcodes and QR codes on in-store products and signage. PacSun equips its sales associates with iPads to bring up additional product information. Office Depot customers can scan barcodes on in-store items and purchase through their mobile devices. How about replenishing consumables / frequently purchased items? Walgreens lets you scan barcodes for medicines to refill prescriptions. Make it easy, and they’ll be loyal? 🙂 Check in Online ticketing allows you to purchase online and check in to your flight or event by presenting a bar code or digital ticket. Shake it up Alibris and Tescooffer book and wine finders, respectively, leveraging the shake feature of the iPhone for product recommendations and discovery. 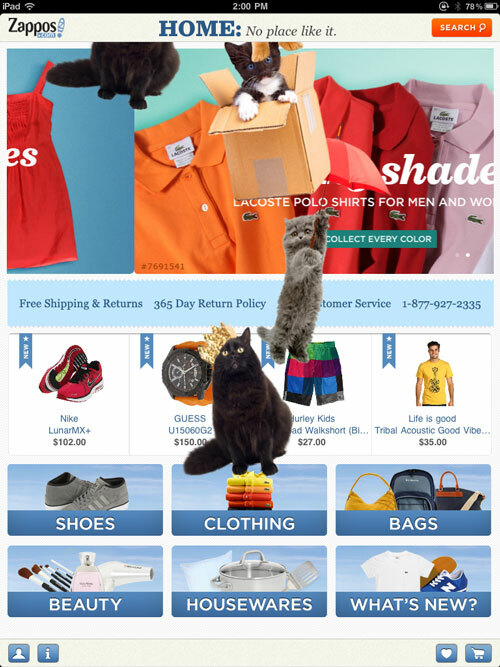 Zappos uses it for a branding effect – shake the Zappos iPad appand it’s mascot kittens will appear floating from the sky. 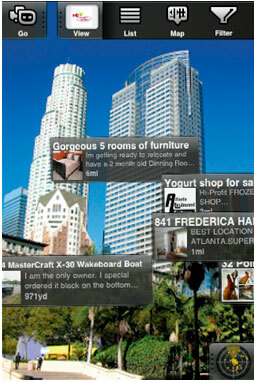 Augmented reality Imagine walking through your neighbourhood, and browsing classified ads from nearby homes. eBays’s done it. 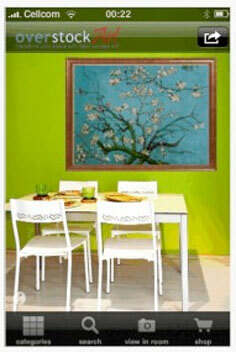 What about previewing a piece of art on your own wall? Overstockart and Art.comhave done it. H&M shows digital clothing in its Manhattan store windows, allowing mobile users to snap a photo of the virtual duds and superimpose them on a picture of themselves and send the photos to friends, or purchase via mobile with a 10% discount. (I’m still not sold on the virtual fitting room idea, especially when you’re right outside the store!) Subway shopping In Korea, you can shop from the underground using your mobile phone with Tesco’s Homeplus virtual store, with delivery to your home. Wild. Mobile coupon programs are nothing new. Remember waaaaay back, Moosejaw Mountaineering’s SMS daily deal and loyalty points contests? For example: “Text me back with rock, paper or scissors. I already know what I’m throwing and if you beat me I’ll add 100 Moosejaw Points to your account now.” GPS capabilities can push coupons and promotions while subscribers are walking by local businesses. QR codes can also be slipped into print flyers and catalogs. Stay top of mind. FTD sends text message gift reminders to customers who opt in to these alerts through MobileBDay.com. Percy3D enables customized digital contentin the form of personalized messages embedded in movie clips which can be sent to social networks or via email. Groovy. BMW drivers can map their favorite driving routesand share them with their friends – not sure how exciting this is, but it’s an interesting build. Have you come across a mind-blowing m-commerce site or application? Have you built one? Please share in the comments.